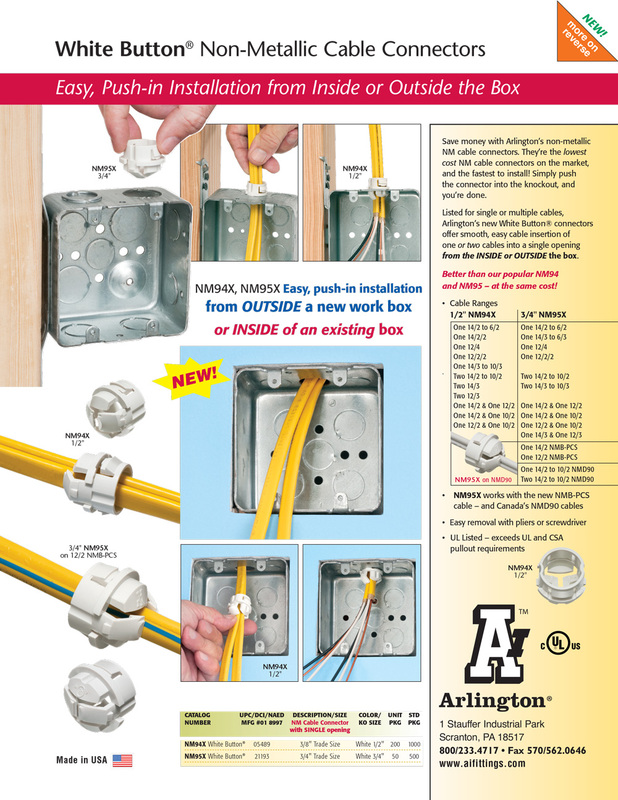 Arlington's new White Button™ connector offers smooth, easy cable insertion of one or two cables into a single opening from inside or outside of the box. 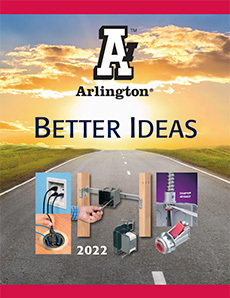 Our non-metallic cable connectors are the lowest costing connectors on the market, and the fastest to install. 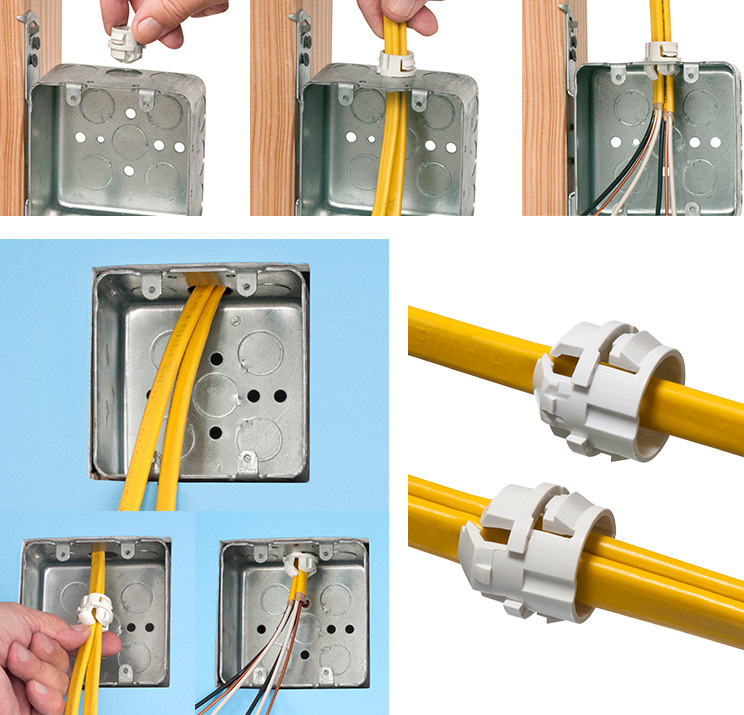 Simply push the connector into the knockout and you're done!